The towering volcano on the north end of the island of Martinique, which itself rests midway in the Lesser Antilles chain of islands east of the Caribbean Sea, gave increasingly terrifying signs of eruption weeks before it at last blew. Cracks in the crust around the mountain vented sulfurous gas as early as mid-April, and soon entire clouds began to pop up from the summit on a daily basis. The ground warped with rivers growing and changing course while ash began to rain down on nearby villages. Locals fled to Saint-Pierre, where city authorities struggled to maintain control and at last ordered that no one leave the city due to the danger of the lands outside. A few ships refused the order and fled, braving rough seas while radio telegrams demanded they return to the safety of the harbor. These few would be the only survivors from the explosive eruption on May 8. A terrible earthquake followed the eruption of Mount Pelée devastating towns and causing smaller volcanic eruptions on several other islands through the Lesser Antilles. Tsunamis swept over the shores of Puerto Rico, Hispaniola, and northern South America. As the other islands came back to their feet, several ships ventured to see what had happened to Martinique. They discovered a wasteland with all life wiped out by heat, ash, and lava. International relief rushed to help the devastated region. Theodore Roosevelt, President of the United States, dispatched Navy ships and authorized the Postal Service to collect donations while Congress voted for $200,000 in aid with hearings to follow for more money. Soon other countries joined, sending all the humanitarian help they could. As surveyors studied the damage on Martinique, they noted that their measurements were different with each passing day. Eventually newspapers revealed to the world that the island was continuing to grow, and it did so for months to come. 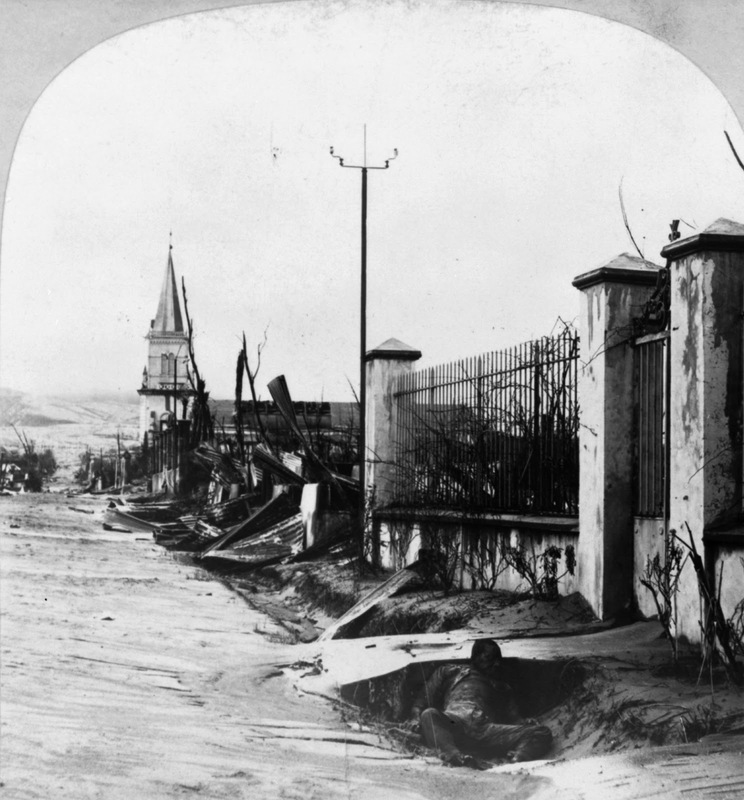 By the end of 1902, most nations had turned their attention away from the recovering Caribbean, now facing their own problems. Cool temperatures and crop failures reminded historians of the famous 1816 “Year Without Summer” following the eruption of Mount Tambora. The worst of the damage was felt on the Atlantic coast of North America and especially in northern Europe, where frosts set in so early that they wiped out what meager harvests had been expected. Soon international aid in mass shipments of grain was being sent to Great Britain, Germany, and Scandinavia. After a tough year for farmers in 1902, 1903 was even worse. Fruit trees refused to blossom, and vegetable gardens did little more than sprout. Meat prices initially fell the shortage of hay meant that stock had to be slaughtered, but soon all types of food became scarce. The bitter winter of 1903-1904 was so miserable that Iceland, the Faroe Isles, and northern Norway became depopulated with refugees swarming into more southerly cities already suffering shortages. Theft and riots became commonplace. As the 1900s continued, it was obvious the problems were getting worse. The line of ruined crops marched steadily southward across France. In Britain, the Thames, which had not frozen since 1814, now froze for weeks at a time. Scientists reviewing shipping data suggested the cause: the Gulf Stream, discovered centuries before by Ponce de Leon and charted by Benjamin Franklin as a current of warm water moving clockwise in the northern Atlantic, had weakened. Due to geological shifting in the Lesser Antilles, seawater no longer flowed so readily into the Caribbean and Gulf of Mexico to be warmed before turning northward and affecting the climates of northern Atlantic regions. International aid groups gave up on the idea of propping up northern Europe with shipments of food and instead began a new effort: mass emigration. While many in France and Germany relocated southward in their own countries, tens of millions of people required evacuation from Great Britain and Scandinavia. Proud Britons removed themselves to warmer lands of their empire, pouring into Australia and western Canada as frontiersmen in addition to swelling the colonial cities in Africa and Asia. Denmark and the Union of Norway and Sweden had no such colonies, save for a few islands in the Caribbean. Initially, many of the Scandinavians turned to relatives who had already moved to the United States, but the Americans became inundated and closed off their quotas to new refugees. Germany, whose holdings in Africa and the South Pacific had already absorbed millions from their own country, concerted an effort to bring in as many further refugees as they could. The twentieth century would be remembered by historians as a major shift in world dynamics with terrible loss of life and social disruption. Yet humanity would also see major leaps forward in technology, such as the discovery of malaria treatments by Sir Alexander Fleming working at St. Mary’s Hospital following its move to New Delhi, as well as social reform with world efforts toward equal rights, whether natives pushed off their lands or displaced Swedish laborers. In reality, Mount Pelée did not largely affect ocean currents. 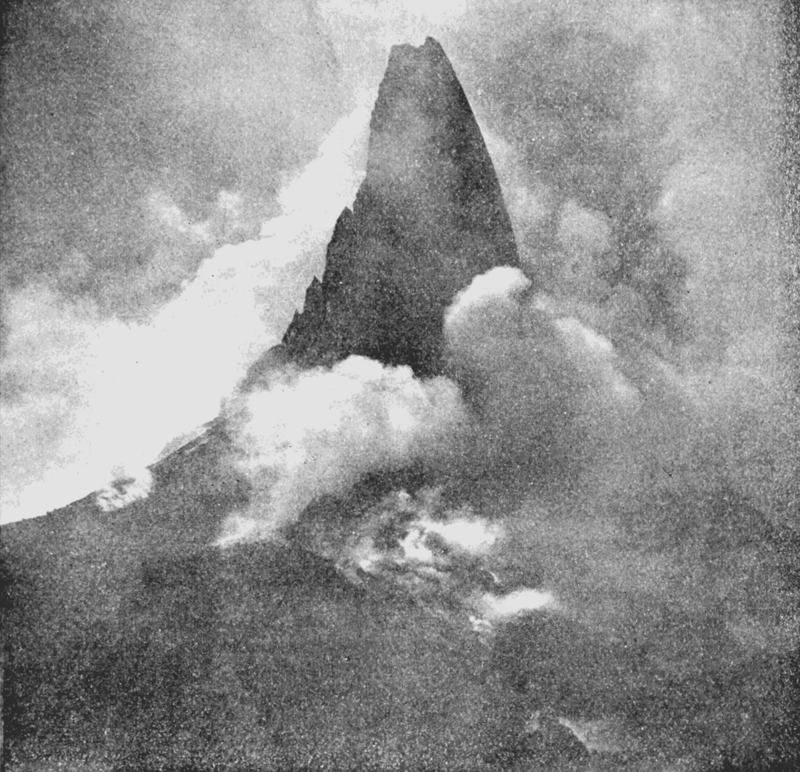 It did grow a volcanic spire called “Pelée’s Tower” that increased as much as fifty feet a day until it collapsed after five months from a height of over 300 feet.